With Her New Flash Tats, You Can Be a Cool Mom Like Beyoncé! Beyoncé now has a collection of very cool, very edgy flash tattoos that should keep you covered for every music festival and girls’ trip to Cabo that your liver and nervous system can handle. The collaboration was announced today on Carine Roitfeld’s fashion site, CR Fashion Book. Beyoncé has been seen totes rocking flash tats for awhile now, so the partnership isn’t exactly surprising. Beyoncé is also very cool but also a sensible mother, so temporary metallic tattoos are both stylish and practical—the obvious choice for a mom on the go. What’s also not surprising, however, is that whoever wrote the copy for the Flash Tats website threw in a Beyoncé pun as soon as they were humanly able. Introducing ‘Beyoncé’, our first five-sheet collection creatively directed and co-designed by Beyoncé! We are “crazy in love” with the pack’s eclectic mix of lyrical, honeycomb and signature beehive-inspired designs in an array of black and gold colors. From a geometric honeycomb cuff bracelet to a stunning medallion cross, there’s something in the Beyoncé pack for everyone to rock and Flash. The five-sheet, 57-piece pack is designed with tattoos that can be worn individually or styled over one another to create layers of intricate detail. And if you really want to live on the edge, slap on this giant metallic gun tattoo! So there it is, guys. 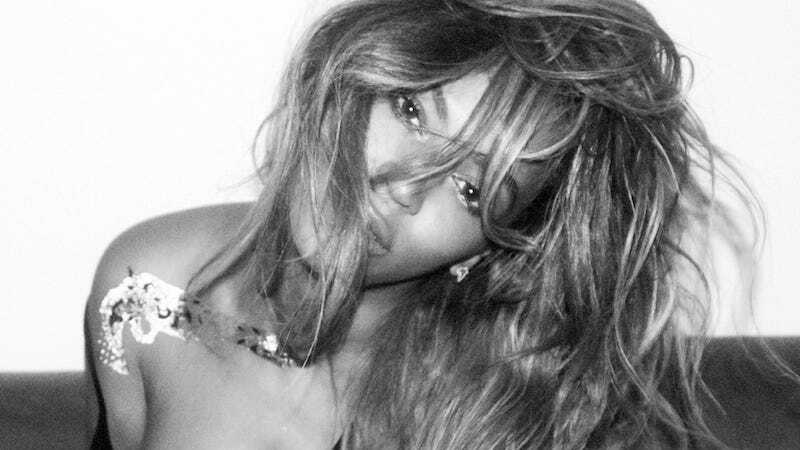 Beyoncé is officially a cool mom with her own line of temporary tattoos. Just slanging guns on her chest with a baby on her hip and she might even make her driver take the Tuesday carpool shift if you’re lucky. For $28, you too can be a cool mom like Beyoncé (for four to six days). Full disclosure: I wanted these for about three minutes until Jane talked me out of it.